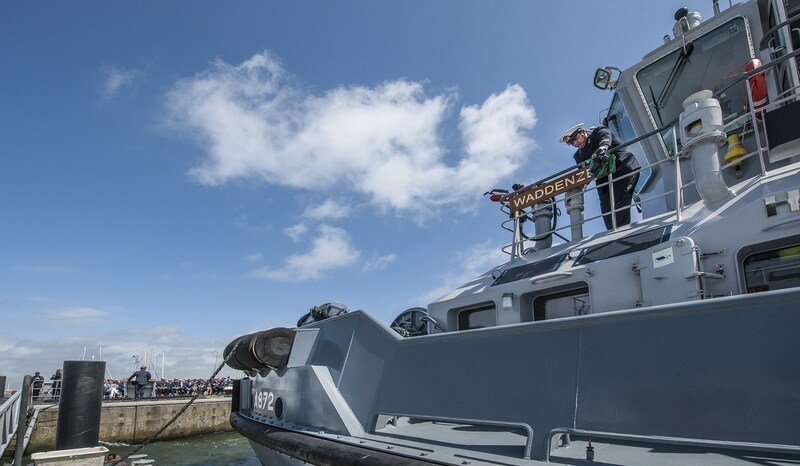 In an official handover ceremony at the Den Helder Naval Base, the Royal Netherlands Navy took formal delivery of three Damen ASD 2810 Hybrid tugs. In addition to providing an increase in ship handling capacity, the new vessels are also installed with hybrid propulsion systems. This will contribute to Dutch Ministry of Defence ambitions regarding sustainable operations of the Navy. 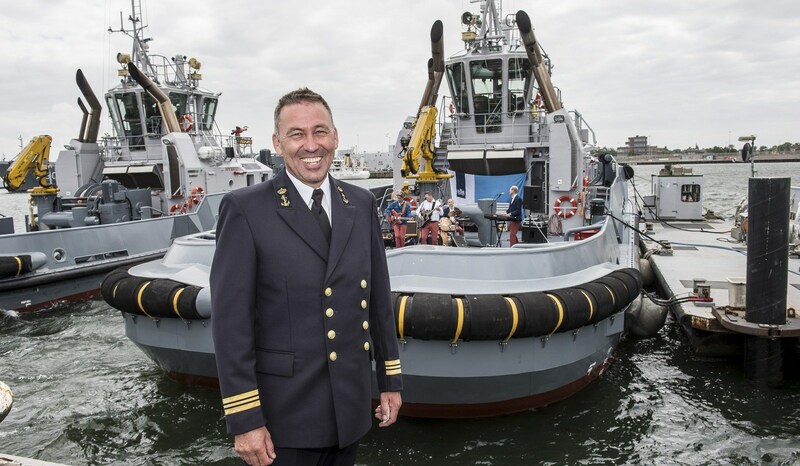 The acquisition of the three Damen tugs is part of the Royal Netherlands Navy’s ongoing fleet renewal programme. The hybrid vessels, named Noordzee, Waddenzee and Zuiderzee, can sail under diesel-direct, diesel-electric or fully-electric power. This will result in a significant increase in fuel efficiency and reduction of exhaust emissions. For example, when sailing in fully-electric mode – possible for up to one hour at a speed of 4 knots – the vessels will have zero emissions. This is highly relevant to the Ministry of Defence Operational Energy Strategy. Recently presented to the Dutch government, this concerns future emissions targets and dependence on diesel as a principle fuel. When sailing under diesel power, the Damen ASD 2810 Hybrid can store any electrical energy that is not immediately used in its battery pack. This can subsequently be used to sustain vessel operating systems or for use in electric sailing mode. 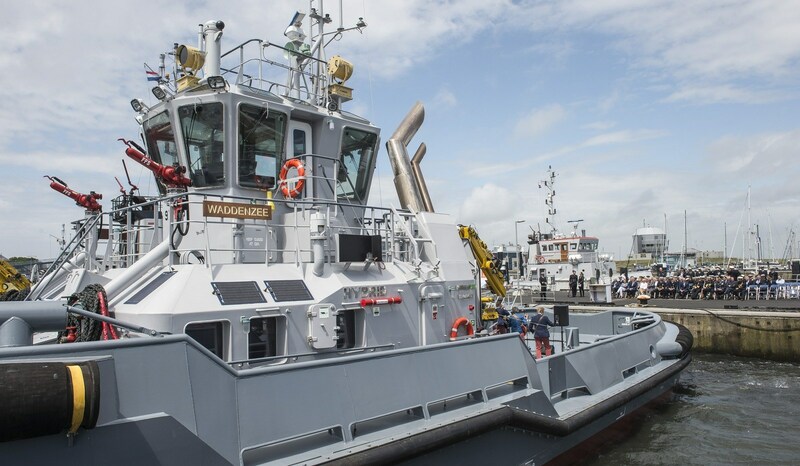 In addition to their hybrid capabilities, the new tugs are also more powerful than the vessels that they are replacing. 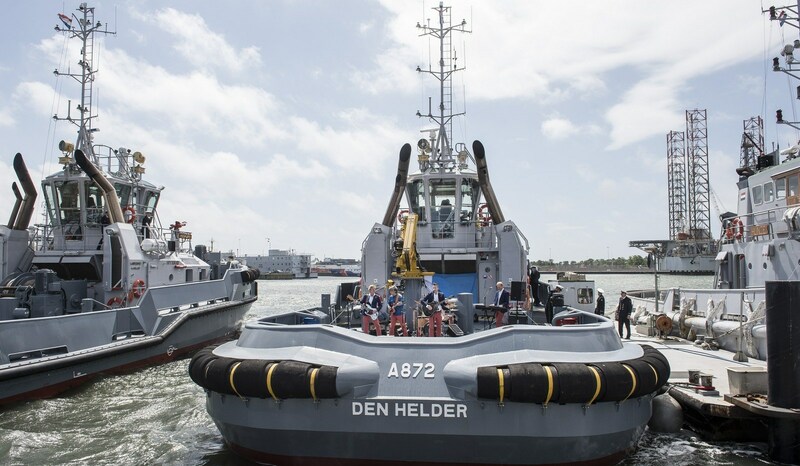 The Damen ASD 2810 Hybrid packs a 60-tonne bollard pull: considerably more than the 22-tonne bollard pull of the ongoing Linge-class of tug. This increase in bollard pull will support safe and efficient ship handling operations of the largest vessels of the Royal Netherlands Navy fleet, such as HNLMS Johan de Witt, HNLMS Rotterdam and the 204-metre long Joint Support Ship HNLMS Karel Doorman in all weather conditions. Now that the tugs are in active service, Damen Shipyards Den Helder will perform an ongoing maintenance programme of all three vessels. 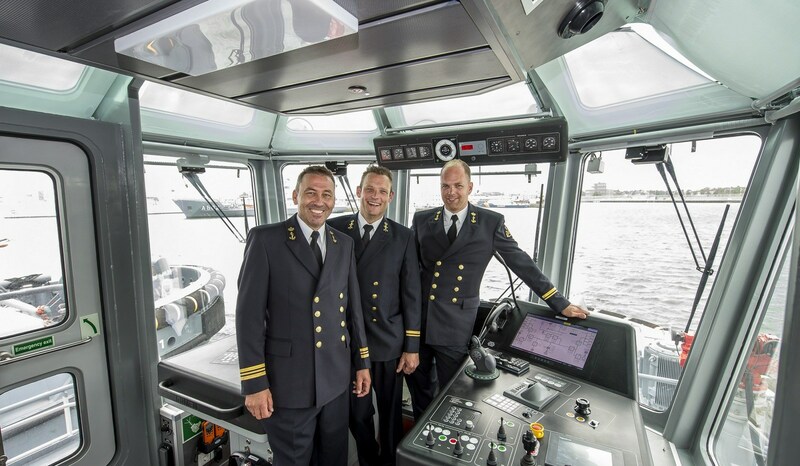 This is a notable fact because this task is normally undertaken by the Royal Netherlands Navy itself. This is the first time that Damen has been called upon for ongoing maintenance works for the Dutch Navy for an extended period.